If you're like me, you're sick of scouring the internet trying to find the latest and best surfing videos of surf competitions from the WCT and QS; free surfing parts from exotic overseas locales; and big wave surfing in spots like Mavericks and Teahupoo. I personally got sick of searching "surf hawaii" and coming up someone's vacation videos from 10 years ago of their kids "bodyboarding." Surf Scavenger. Then I found out that my buddy Quinn had started up a website with exactly what I was looking for: all the best surf videos in 1 place. That place is Surf Scavenger. 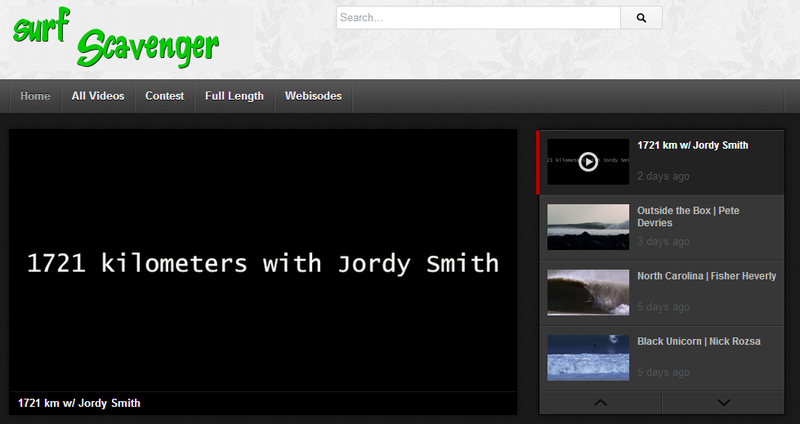 Instead of having to do the scavenging yourself, his website is like a private YouTube of all surf videos. 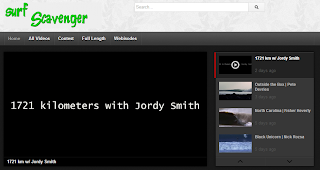 simple interface - no other junk that you have to deal with to get to the videos. 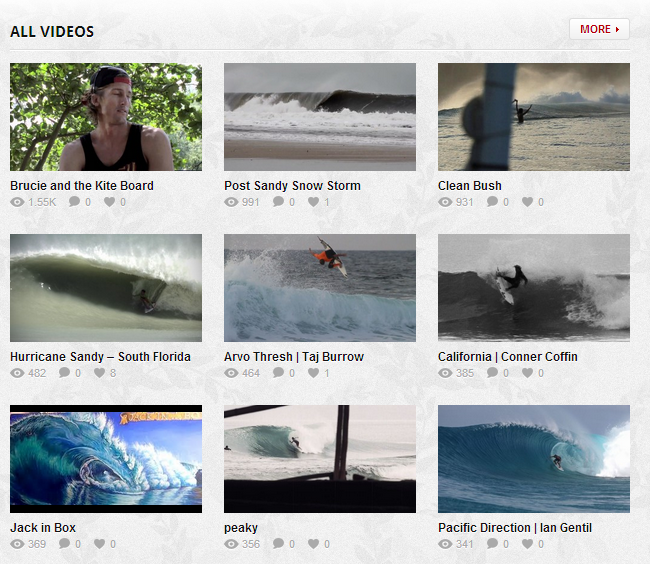 If you are looking for the best and most recent surf videos in an easy to use and view format, check out Surf Scavenger, don't just take my word for it.